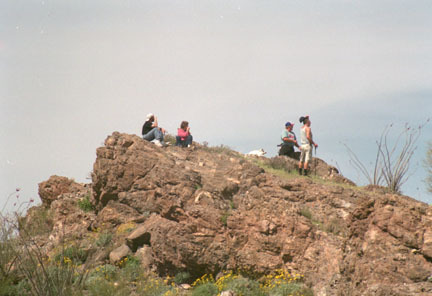 Marble Mountain, on BLM administered land about 20 miles east of Ajo, Arizona, is located in the Sauceda Mountains, an area of extensive past volcanic activity. 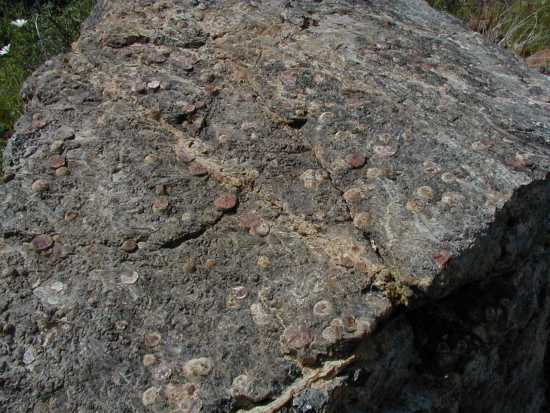 Occupying the area is a variety of volcanic rocks ejected during violent eruptions of sticky gaseous rhyolite type lava. 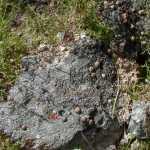 Some of the rock types produced by these eruptions include rhyolite lava (high silica molten rock flowing out on the surface and forming thick layers when hardening), tuff (a kind of soft yellowish material consisting of glassy shards deposited during explosive pyroclastic ash flows) and obsidian (a non-crystalline volcanic glass formed from certain molten rocks that cool extremely rapidly). 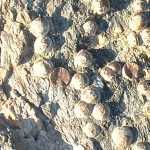 Marble Mountain itself is really a low hill formed mostly from an impure obsidian containing spherical crystalline inclusions. 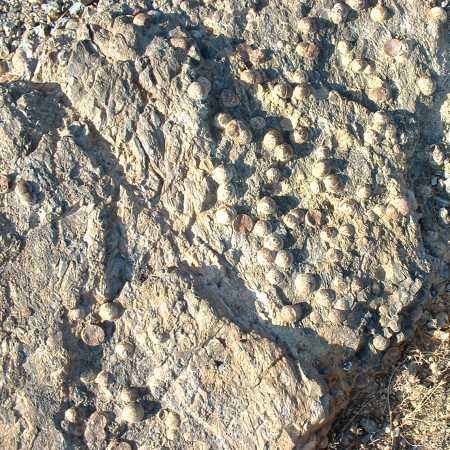 Specific information seems to be lacking as to how these inclusions, or "marbles" were formed, but presumably they formed during the time that the molten obsidian cooled. Here is one theory on marble formation. 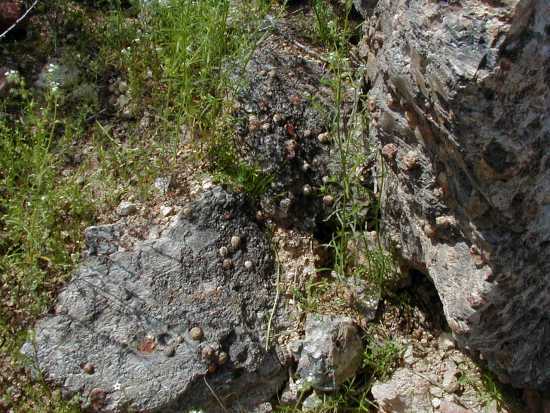 Due to the relatively high elevation (2400 feet) of the Marble Mountain area, some plants characteristic of the upper boundaries of the Sonoran Desert and apparently not in the rest of the Ajo area are found here. 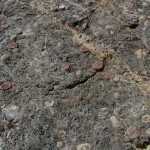 Some of these include turpentine bush (Ericamera laricifolia), Indian paintbrush (Castilleja chromosa), Arizona scarlet-bugler (Penstemon subulatus), and Acuña cactus (Echinomastus erectrocentrus var. acunensis). Other Sonoran Desert species characteristic of moister habitats are common in the area. Directions: Take Pipeline Road to the Marble Mountain junction. After passing a normally dried up water catchment basin on the right, which is surrounded by a decaying barbed wire fence, take the first road to the left and park. Marble mountain is an easy hike of about 200 yards slightly to the North. 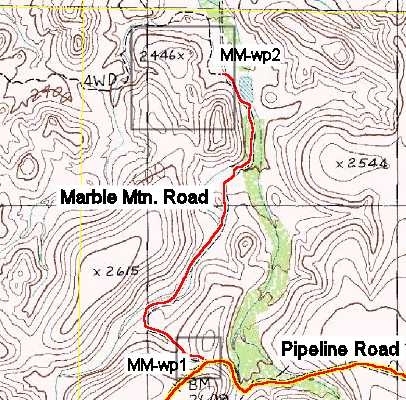 The distance from the start of Pipeline Road to Marble Mountain Road junction is 17 miles. Marble Mountain turn-out is another mile. The one way trip time from the CPNWR Office to Marble Mountain is about 2 hours. Caution: There are long stretches of road that are very bumpy and rough on vehicles.